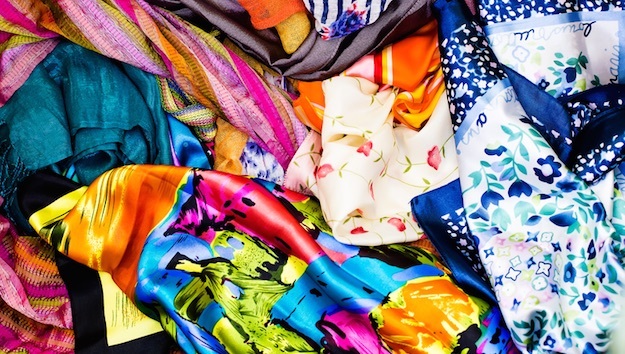 By all accounts, the textile printing business is set to explode, thanks to digital printing technologies. For instance, Fibre2fashion, analysts for the fashion industry, reckon that in 2017 the amount of fabric printed digitally will be more than one billion square metres and reach 2.5 billion square metres by 2020. They estimate that CAGR from 2015 to 2020 will be 28%, with 5% of that printed digitally, up from 2% in 2016. We can mostly accept these numbers but there lots of reasons to be anxious about them, not least the environmental impact of such growth. Textile production is one of the heaviest when it comes to the environment, not least for the massive amounts of water required to produce fabrics, starting with processing the raw materials and all the way through to washing textiles ready for turning them into clothes. The big driver is of course our desire for instant and inexpensive gratification. We all love to have new clothes, to change our looks, to bolster our sense of self-esteem, our vanity. And in developed markets it is very easy to get new stuff at low cost, whether it’s brand new or second-hand, bought in a shop or online. The fashion industry has of course responded brilliantly, tapping into this need and producing stylish designs at low cost with increasingly frequent new looks and lines. This inevitably increases the burden on reprocessing textiles, particularly in geographies where a throwaway mentality dominates. Digital printing could encourage desires for instant gratification and in so doing aggravate the waste problem. Or it may turn the whole model completely on its head. This is a very real possibility because digital printing collapses manufacturing and supply chains so effectively. These days there are plenty of internet sites offering fashion and bespoke designs for clothing on demand. Just a few short years ago, this application was limited to polyester sportswear, but now you can design your own gear, get it printed on various substrates and get it delivered within a few days. And it’s so easy to sell on clothes you get bored with via Amazon or eBay. We need to encourage a different expectation because the quantities of textiles going to landfill is still too high and rising. In the UK for instance, over one million tonnes of clothes is thrown away every year. Recycling the clothes through resale means less landfill and reduced resource usage. Two very large fashion brands are encouraging such new thinking with support for clothing recycling instore. Both Zara and H&M have bins in their stores, so that people can discard unwanted items before buying new ones. It could be chance for non-shoppers to get free new clothes and it could further prod consumers to buy more than they need, guilt free. But longer term it should help people to think more about how we should be using resources. We aren’t likely to turn away from the charms of instant gratification, but perhaps environmental thinking will be encouraged.